Ozone Cinemas Yaba is one of the most popular cinemas in Lagos. The cinema is a sister cinema to Silverbird cinemas, as they are owned by the same company. 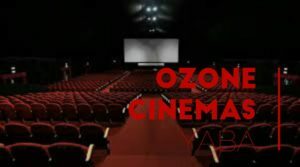 Ozone Cinemas started business on November 13, 2008, in Lagos State. The cinemas has only one branch which is located at Ozone Cinemas, E-center 1-11 Commercial Avenue Yaba, Lagos State. The establishment of this business came after years of international research. People who carried out extensive research on the business are a mixture of seasoned Nigerian and American experts. Ozone Cinemas is known for showing latest and interesting movies. Movies they show include Hollywood movies, Nollywood movies and Bollywood movies. The cinema has 4 screens and a capacity of 619 persons. Furthermore, it is the first multiplex cinema to appear on the mainland of Lagos State. The cost of watching a cinema movie varies. Adults pay 1,500 NGN and enjoy a free drink and popcorn. Students pay 1,000 NGN, while children pay 800 NGN. For students to pay a subsidized fee of 1,000 NGN, they have to present a valid means of student identification. Ozone Cinemas can be reached over the phone with any of these 2 numbers: 0816 662 6015 or 0814 432 2494. Filmhouse IMAX is a popular cinema in Lagos. It happens to be the first image maximum cinema in the country. The cinema shows both 2D and 3D movies. Furthermore, it is for both adults and children. Filmhouse IMAX is located at The Rock Drive Off Bisola Durosinmi Etti Drive, Lekki Phase 1, Lagos Nigeria. The business can be reached on any of these two phone numbers: 0902 497 3014 and 0902 499 7900. Genesis Deluxe Cinemas is another very popular cinema in Lagos. Not only that, but it is also a great alternative to Ozone Cinemas. Genesis Deluxe Cinemas commenced operation in 2008, in Lagos. At present, the business has a total of 7 cinemas and 28 screens. Its cinemas are located in the following places: Lagos, Port-Harcourt, Warri, Owerri, and Abuja. This cinema has two branches in Lagos State alone. One of the two branches is located at The Palms Shopping Mall, 1 Bisway Street, Maroko, Lagos. The other Lagos branch is located at Maryland Mall, Ikorodu Road, Lagos. Genesis Deluxe Cinemas operates 7 days a week, but not 24 hours a day. On Mondays, Tuesdays, and Thursdays, the two Lagos branches have two sessions: the before-5pm session and the after-5pm session. Other days have only one session. The cost of watching a movie at any of the Lagos branches of Genesis Deluxe Cinemas ranges between 1,000 NGN and 2,500 NGN. Genesis Deluxe Cinemas also shows 3D movies.